Six weeks after the Board of Trustees of Quincy University "excused" former president Sr. Margaret Feldner, the University has announced that a search committee has been formed to find a new president. Of the seven members on the committee, only one is Franciscan. The chair of the committee, Brian Belobradic, said that a "sense of urgency" is guiding the new proceedings and that the committee wants "to do it right." A six-week wait hardly seems to portray a sense of "urgency." Whereas the University bylaws in the past required its president to be a Franciscan, in 2004 the Board of Trustees, after appointing Sr. Feldner to the post, altered the bylaws. Now the president need not be a Franciscan, nor a professed religious, which gives me fears that my beloved alma mater will soon join the ranks of many "Catholic" colleges; it fear it will soon become just another private school. The Quincy Herald Whig has an article here. Washington DC, Jan 30, 2007 / 11:46 am (CNA).- U.S. Senator Sam Brownback reintroduced the Public Expressions of Religion Act on Jan. 29. The bill would prevent activist groups from using a 1976 civil rights law to recover attorney’s fees when they sue local cities and towns in cases related to public displays of religion and faith. Currently, legal activist groups recover hundreds of thousands of dollars from state and local governments based on a provision of the 1976 Civil Rights Attorney Fees Awards Act, which was intended to assist underprivileged plaintiffs in obtaining legal representation in civil rights cases. For example, when several groups won a case in Alabama to remove a Ten Commandments display from the Alabama Supreme Court building, taxpayers were forced to pay the groups’ attorneys nearly $550,000. This new measure would require parties in Establishment Clause cases to pay their own attorney fees. I found a new medieval personality test through Ad Dominum's blog. My Medieval temperament is that of the Melancholic, something I have known about myself for a long time. I find the description of hte Melancholic helpful and right to the point. You are a "nervous" Melancholic, with an abundance of black bile. Melancholics are characterized by the element of Earth, the season of Autumn, middle-aged adulthood, the colors black and blue, Saturn, and the characteristics of "Cold" and "Dry." Animals used to symbolize the Melancholic include the pig, cat, and owl. To ehnance your Melancholic tendencies, listen to music in the Mixolydian Mode; to diminish those tendencies, listen to music in the Hypomixolydian mode. Famous Melancholics include St. John of the Cross, St. John the Divine, St. Francis, and St. Catherine of Siena. If you were living in the Age of Faith, perfect career choices for you would be contemplative religious, theologian, artist, or writer. If what it says is true, I have done well in my vocation and in my deep and profound love of Saint Francis. You can find out your own Medieval temperament here. The full description of the Melancholic can be read here. The Most Reverend John W. Yanta issued a pastoral letter entitled, "Family - A Community of Love," on 9 January 2007. It is a difficult letter to read, largely because the style of writing seems haphazard and hasty, almost as if it is a first draft. If poor grammar upsets and distracts you as it does me, I would not suggest reading the letter in its entirety. No Catholic child should be enrolled in a Catholic school or CCD [or PSR] program who doesn't already know by heart how to recite the Sign of the Cross, Our Father, and Hail Mary. The first mistake by the parents to children: "What are you going to be when you grow up?" Parents should remember and teach that the first calling of the Christian and Catholic is to follow Christ. God has a general plan for everyone in the whole human race: salvation by righteous living, disciplship - for Christian to follow the master Jesus, and holiness like that of the saint's name chosen at baptism by our parents, or the saint's name you chose at Confirmation as a young Catholic. That is God's general plan for us. God also has a specific plan for everyone to attain salvation, discipleship, and holiness. So the question becomes: "What do you think God wants you to be in your life?" A good question for each of us to consider, and to encourage others to consider. Claudio Cardinal Hummes, O.F.M., Prefect of the Congregation for the Clergy, issued a letter to the piests of the Roman Catholic Church on the Feast of Saint Francis de Sales, 24 January 2006. Having only recently taken up the post, the Brazilian Cardinal admits, "I still feel like something of a novice." We are bearers of a specific identity that constantly characterizes us in our existence and in our activity. We are consecrated and incorporated into the activity of Christ. The gestures and the words of Jesus become reactualized in time and in history to provoke in those who fulfil them “the same sentiments of Christ” and the same effects of salvation. The Church, in conferring the sacrament of Orders, ontologically constitutes the Priest as an alter Christus, or as some say, an ipse Christus; and it establishes him as a minister of the Word and as a minister of the prophetic action and pastoral love of Christ. His function, therefore, is not to exhaust himself exclusively in the dimension of worship, but to complete himself in the prophetic dimension by proclaiming the Word and in the pastoral dimension by being a guide for the community. Among the beautiful expressions of the Second Vatican Council is the following statement, which synthesizes the functions of the priest while delineating his identity: “Priests, while engaging in prayer and adoration, or preaching the word, or offering the Eucharistic Sacrifice and administering the other sacraments, or performing other works of the ministry for men, devote all this energy to the increase of the glory of God and to man's progress in the divine life.” (Presbyterorum Ordinis, 2). It is true: ours is not an easy mission. But united to Christ the Eternal High Priest, and with Mary, Mother of the first Priest and of all Priests, we will always be mindful of giving testimony to the hope that is within us to our numerous brothers and sisters who, even today, long for the Way, the Truth and the Life. Pope Benedict XVI upheld Saint Thomas Aquinas as "a valid model of harmony between reason and faith, dimensions of the human spirit, which are fully realized when they meet and dialogue" during his Angelus Address yesterday, a theme which hearkens back to his address in Regensburg. Entrusting the Church to the intercession of the Angelic Doctor and to Mary, Seat of Wisdom, the Pontiff invited the faithful to pray that Christians will be "more able to express the reasonable character of their faith and to witness to it with a dialogue inspired by love." As the season of Lent draws quickly close, I stumbled upon this in my catalog browsing: "The Gospel in a Nutshell Acorn." How tacky can we be? Apparently they are selling so well that they are already on backorder. This Sunday's homily is shorter than usual because my voice still is weak and I do not want to lose it entirely. What must it have been like for Jesus to know that members of his family, his friends, the citizens who knew him so well – and yet not well enough – attempted to “hurl him down headlong” (Luke 4:29). Jesus came to “to bring glad tidings to the poor [and] to proclaim liberty to captives” – he came for love - and the people wanted to kill him because of it (Luke 4:18). Notice how Jesus responds to his would be murderers: “But Jesus passed through the midst of them and went away” (Luke 4:30). Because the people of Nazareth would not accept his love he journeyed on to share his love with those who would accept him. He simply left. How do we respond to similar situations? Someone falsely accuses us, a gossiper harms our reputation, a thief steals from us, a family member disappoints us and hurts us. Too often our response is one of anger and revenge. We hold our grudges and set up our defenses so as not to be hurt again. We begin to plan our method of attack and we seek to harm the one who has hurt us, all the while claiming to act justly. Only rarely do we stop to consider that we have done the same to others. This is not the response of Jesus Christ and it cannot be our response, either. Jesus passed through their midst, “resolutely determined to go to Jerusalem” to go to Calvary to show the depth of his love (Luke 9:51). As he journeyed to the Cross he continually prayed, “Father, forgive them, they know not what they do” (Luke 23:34). His love never failed. Before he ascended the throne of the Cross, Jesus said: “This is my commandment: love one another as I love you” (John 15:12). We who dare to claim the name of Christian must love as Jesus loves and we must love in all circumstances. When we go to work or to school we must do so in love. When we buy the groceries or prepare a meal we must do so in love. When we clean our bedroom or come to Mass we must do so in love. When we continue our duties even when sick, we must do so in love, else wise “I am nothing” and “I gain nothing” (I Corinthians 13:2-3). We cannot withhold our love from anyone, nor can we put any conditions on our love. Our love must be overflowing, free and generous. If we do not love in this way – if we do not yearn for the good of everyone else above our own - we do not follow Christ; we follow our own ego. The Beloved Disciple says this: “Beloved, if God so loved us, we also must love one another. No one has ever seen God. Yet, if we love another, God remains in us, and his love is brought to perfection is us” (I John 4:11-12). For this reason Saint Paul calls love the “still more excellent way” and the “greatest” (I Corinthians 12:31, 13:13). When I have failed to love like Jesus and have hurt you by something I have said or done in my own sinful impatience and pride, I offer my heartfelt apology and I humbly beg your forgiveness. We will stumble and fall along the way, each and every one of us. The task before us is always to offer love and to yield to love. Through our eyes the love of Christ must look out upon the world. This is the way of Christ; this is the way of love. Let us, then, follow after the Master. Through love, let us mend the broken relationships among us; let all grudges be ended and all anger cease; let us “put aside childish things” and draw close to the heart of Christ (I Corinthians 13:11). The early Church grew and flourished because of the witness of love given by the early Christians. So faithfully did the early Church love that the apologist Tertullian could say, “What marks us in the eyes of our enemies is our loving kindness. ‘Only look,’ they say, ‘look how they love one another” (Apology 39.7). May the same be said of us. May we always echo in our hearts the request of the opening Collect of today’s Mass: “Lord our God, help us to love you with all our hearts and to love all men as you love them.” Amen. I just have to say this: I love sincere penitents who approach the Lord through his priests to seek his forgiveness and love. The penitents who came this afternoon were especially beautiful and I am deeply humbled. May each of us come to a deeper appreciation and understanding of our need for the tender mercy and love of the Lord. For whatever reason I keep many of the catalogs that I receive. Usually I tell myself that they will come in handy in the future; sometimes they do and sometimes they do not. I do, though, try to limit the space in which I will keep the catalogs to a vertical space on the bottom shelf of a bookcase in my office. A few days ago the catalogs spilled over thereby requiring the quarterly sorting of the catalogs. It can be a time consuming task because I like to look through the catalogs again before I get rid of them. Yesterday morning I paid a visit to the local optometrist - which happens also to be from where I was returning the day of the picture - to pick up my first pair of contact lenses. I have thought about wearing contacts for many years now but only within the past eighteen months or so has the idea begun to sound like a good one. Now, into my second day with contacts, I am not so sure. Wearing them thus far is both a penance and an opportunity for patience and for humility, as I am continually refocusing my gaze to read through the tears in my eyes. Within a few more days I think my eyelids will sufficiently adjust to the lenses but until soch time I will not attempt to celebrate the Holy Mass with them. One thing particuarly strikes me now: the world seems so much bigger, brighter, vivid and clearer than it does with my glasses, even though the prescription is virtually the same (so close that the doctor felt it unecessary to give me a new pair of glasses). 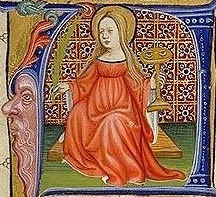 Saint Lucy, pray for me! Oh, the Catholic sensibilities! The ecclesiastical tailor shop of The House of Hansen - one of my favorite places to shop - has new features on their web site. Do take a look. "I yearn to see you again, recalling your tears, so that I may be filled with joy, as I recall your sincere faith that first lived in your grandmother Lois and in your mother Eunice and that I am confident lives also in you" (II Timothy 1:4-5). Have you ever considered how you came to receive the Faith? Most likely you did not simply stumble upon it on day in the woods; somebody first spoke it to you: "And how can they believe in him of whom they have not heard?" (Romans 10:14). Somebody who loved you and desired only your good shared the faith with you that they in turn had received from somebody else. This genealogy of faith can - at least in theory - be traced back to those men and women who saw Jesus walk by the sea and head him speak to the crowds on the mount. I urge you then today: thank the person(s) who first shared the faith with you and tell somebody that you love of Jesus Christ. Offer a special prayer today for those handed the faith on to you. What greater gift can we give? The Pastor's dog, Molly, a beautiful four-year-old German Shepherd, tends to bark quite a bit when parishioners and others pop into the office to see him. From time to time Molly simply will not stop barking, although usually she does. Very often when she doesn't stop barking the Pastor will bring her into my office and quickly close the door behind him as walks off for his meeting, thereby leaving Molly stuck in my office with me. Molly and I get along very well; in fact, it's fantastic living with a dog again after being in academia for nine years. The only difficulty is this: have you ever tried to accomplish anything with an eighty pound German Shepherd barking, whimpering and whining around your office because she cannot get to her Master, although she knows perfectly well where he is and can hear his voice from the room next door? It's very nearly impossible. At long last, it's back: the iPod shuffle! This year was, I believe, my fifth time participating in the March for Life; at the very least it was my fourth. What has often struck me about the March is this: while tens of thousands amass in the nation's capitol to demand respect and protection for the unborn, we who have gathered very often refuse to show respect toward those who have been born. Walking in the March I am always shocked at the ways groups will lock arms together - not to keep together, but to charge their way through other groups of people. I am shocked at the way that groups and individuals will force their way through what is obviously a group of people purposely walking together (note their idential shirts, hats, scarves, bags, flags, etc.). I am shocked at the way people refuse to acknowledge other human beings and just trample them down. I am shocked at the absence of any sense of order, with people simply pushing and shoving their way toward the Supreme Court building. In recent years there seems to be a growing refusal to join the March for Life where it actually begins, instead shoving in from any side street from which one decides to enter. My group of 318 pilgrims gathered where the March was to begin; apparently we were some of the only ones who decided to do so. Waiting then in the middle of the street for a good two hours, we were able to see where many Marchers had already trod. Turning around and looking back down the streets - and even along the way once we finally began to move - I was shocked at what we left in our wake: nothing but trash. The trash bins were stuffed to overflowing and piles of trash were stacked around them. Worse yet, on the sidewalks, streets and grass, cups, bottles and plastic bags of all shapes, sizes and colors littered the area. How can we expect people to listen to our demands for respect for the unborn if we refuse to show respect to one another? How can we expect people to listen to our demands for resprect for the unborn if we refuse to show respect to those who have to pick up our mess? It is not terribly difficult to simply follow the flow of the March as it goes. It is not difficult to join the March at the appropriate place. It is not difficult to accept that individual groups are not in charge of the March and have no right to block the way of other Marchers simply because they want to march in military fashion with their own particular group. It is not difficult to put my own trash in my bag or pocket and throw it away myself. Perhaps I am overly sensitive in these areas. Perhaps my mentality is too Medieval or un-American. Perhaps I care too much about the group and not enough about the individual. Perhaps I simply want our example to match what we say. Friday evening I left with my fellow pilgrims for Washington, D.C. to participate in the March for Life. Feeling then rather better than I did that same morning I thought I was healthy enough to make the pilgrimage. I was, it seems, a bit mistaken. Saturday morning I awoke to discover that my voice was nearly gone. Aside from that, I felt fine, although my throat was often very dry and course. Regardless, the pilgrimage was certainly worth it. Saturday evening I was able to visit my friend, Sr. Clementia, F.S.G.M., at the Apostolic Nunciature. Being dark by the time I arrived, I took no pictures of the outside of the building, nor I did take pictures of the inside, which I now regret. After touring the Nunciature and meeting the Apostolic Nuncio, Archbishop Pietro Sambi, in the hallway on his way to dinner, Sr. Clementia and I had a very pleasant visit. The pictures of Sister and I were taken inside the foyer of the Apostolic Nunciature. Sunday morning I went to the National Archives to see the Magna Carta held there. Afterwards I went to the National Gallery of Art to see the "Prayers and Portraits" exhibit of the Netherlandish dyptich. If you have a chance, the exibit is wonderful. That evening I attended the Vigil Mass at the National Shrine of the Immaculate Conception. Monday morning we were fortunate enough to have our Bishop with us, the Most Rev. George J. Lucas. He celebrated Mass for us - with a number of his priests concelebrating - before the March itself. After the March we boarded our busses and began the journey home, arriving back at 7:30 a.m. on Tuesday. I'll post some reflections on the March itself at a later time. Yesterday afternoon, tired of losing the battle with my cold, I went to the doctor and received an antibiotic. Today then I will spend resting in the hopes that the cold will be vanquished. I am very happy to say that the first night went very well. Nearly all of the fifty-one participants were able to be present. We even had an unexpected visitor: a church mouse! I had never seen one before. He ran around the church basement causing good hearted laughts and a pleasant distraction now and again. At the end of the lesson on the person of Saint Luke I asked the group how they wanted to proceed. I even suggested the possibility of breaking up into small groups from time to time, thinking they might enjoy this. The decision of the group was unanimous: "You just talk Father, we love to listen to you talk," was their response. I was rather shocked at this. It's not every day that people ask me to keep talking. Usually they ask me to pipe down! In high school and college my family always joked about getting me a t-shirt that reads, "Help! I'm talking and I can't shut up!" I am grateful for the support and encouragement of the group. The next five meetings will be delightful! This evening I shall be departing with our Diocesan pilgrimage to Washington, D.C. for the annual March for Life. The 318 youth and adults will bus through the night on the way to the nation's capitol. The seventeen hours - or so - on a bus is quite grueling, but it is a pilgrimage; it isn't suppossed to be easy! Tomorrow evening I will also be visiting the Vatican. How, you ask? A friend of mine - Sr. Clementia, F.S.G.M., whom you may remember, works in the Apostolic Nunciature, the Vatican equivalent to an embassy. While I am on the grounds of the Nunciature I will be on Vatican City-State soil. I am very much looking forward to my visit with Sr. Clementia. Sunday evening we will of course participate in the Vigil Mass at the National Basilica of the Immaculate Conception. Immediately after the March on Monday we will board our busses and begin the trek home. Please keep us - and all pilgrims en route to Washington, D.C. - in your prayers. The other day I was called away to the nursing home because a resident had just died. The deceased was a Catholic but not one of our parishioner and so I didn’t recognize the name. The deceased’s daughter and her husband were in the room. After I prayed the Prayers for the Dead with them, the daughter shared a beautiful story with me. We know that “all the ties of friendship and affection which knit us as one throughout our lives do not unravel with death” (Vigil for the Deceased, 71). This was made very clear to the daughter. It’s Dad. I’ll take charge of Mom now. During the Communion procession at Mass on Sunday, I couldn’t help but overview a toddler in the line next to me. As her family approached the Eucharist, the young girl looked up at her mom and asked, “Can I get one?” As I heard the question I smiled at mom and she smiled back. It was one of those very touching moments. After reflecting on the small girl’s simple request that she surely did not fully understand, I cannot help but wonder: what if each of us approached the Eucharist with the same simple and humble request? Lately I have been reading through a stack of my books lying on the floor of my library waiting to be shelved; being sick does have some advantages. Several of these books were written by some of my professors in the seminary, which brings me to the point of this post. As I finished one of them last night I couldn’t help but hear the author’s voice as I read each page. I heard not my own voice but my professor’s voice and it almost seemed as though I was in class again (which I very much miss). It seems to me that personally knowing an author helps a book to come more alive and makes retention much easier. The first Catholic-built crematorium will be in the Diocese of Metuchen in New Jersey. This is what’s happening today. This is the reality. It is the wave of the future. We’re going along with what our Catholic population is looking for. Now, many Catholics in the United States favor abortion. Should we allow it? Many Catholics in the United States favor married priests or women priests. Should we allow them? Many Catholics in the United States favor homosexual unions. Should we allow them? The answer to all of the above questions remains: certainly not. Why, then, build a crematorium when the Church very clearly prefers bodily burial and merely allows – one might even say tolerates – cremation? We had to answer, “If we do build a crematorium, will that look like we’re pushing cremation and not following the guidelines of the Church?” The answer is, categorically, no. We’re still in line with the fact that the full body is preferred. The diocese’s decision to build a crematory came about because of this increased demand, and because money from cremations –after the crematory is paid off several years from now – can help support the cemetery. There you have it: money is the bottom line, yet again. I, for one, am very much opposed to the idea. More on the story here. Father Jay Torobowski has an excellent post on dressing fittingly for the Holy Mass. A must read. I particular agree with Fr. Torobowski about vigil Masses. I've often wondered if they are truly necessary today, especially for a parish that has both a Saturday evening Mass and a Sunday evening Mass. I suggest the answer is: No, the vigil Mass is not necessary. I may post more on this later, if there is interest. If you haven't been following ecclesiastical news in Poland of late, Archbishop Stanislaw Wielgus, the Metropolitan Archbishop of Warsaw, resigned nearly one hour before the Mass of his Installation. He proffered his resignation because of his connection - the extent of which remains somewhat hazy - with secret service of Communist Poland. The Polish Conference of Bishops met shortly thereafter to discuss their future path. They issued a statement that was to be read in every Polish church this past weekend. Therefore we repeat once more: the Church is not afraid of the truth, even if this is a hard, shameful, truth and approaching this truth is sometimes very painful. We deeply believe that the truth liberates, because Jesus Christ himself is a liberating truth. The Church has been struggling with sin inside herself and in the world, to which it is sent, for two thousand years. Sin degrades man and distorts the image and similitude of God in him. The Church does not carry this through under her own power. It does it under the power of the One, who as the only one can make us free from evil. Therefore we begin every Eucharist with a confession of our sinfulness: “I confess to the almighty God…” This is not a void liturgical formula, but a deep confrontation with our weakness and faithlessness before the face of the merciful God. Similarly, we ask in every Eucharist: “Lord Jesus Christ … look not on our sins, but on the faith of your Church.” We are not afraid to confess that the Church is a community of sinners, but at the same time she is holy and called to holiness, since Jesus Christ is her Head, living and working in her – a Saint above all saints. It is before Him that we stand, asking the Holy Ghost to deliver us from evil, fear and our small-mindedness [emphasis original]. Keep the Church in Poland in your prayers. Back on the 19th of November, the Minister General of the Order of Friars Minor (the Franciscans), Father Jose Rodriguez Carballo, addressed the International Congress of the Commissaries of the Holy Land in Jerusalem. The Franciscan friars have held the Custody of the Holy Land since the early 1200s. 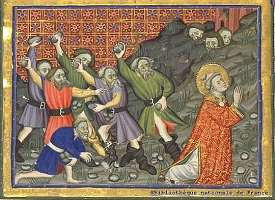 Francis himself visited the Holy Land in 1219 and demonstrated a deep love of and devotion to the land of Jesus' life. The Custody of the Holy Land, said Fr. Carballo, has been the "uninterrupted and providential mission of the Franciscans in the Holy Land since the 13th century until these days." With the celebration of the grace of our origins, we don't only want to return to those values lived by Francis, even when this would be necessary, if we have separated from them, we want, and we wish passionately to "pour new wine in new wineskins" so we would respond in new ways to new questions. It is in this sense that we talk about re-foundation of our life and mission. In this context I believe I am not mistaken if I state that the must urgent question in the circumstances in which we are living is not: What did Francis do in his time? But what would Francis do in this very moment, in the circumstances in which each one of us is living? This is a most intriguing question, at least for those of us devoted to the Poverello and friends of his sons and daughters. I would ask you to try to stimulate new vocations for the Holy Land. There is a numerical decrease of vocation[s] from other countries and there is a numerical decrease in the number of missionaries that come every year. During the last three years of my service as minister general, I have given 30 new letters of obedience. They are not enough. We all have to work to increase vocations in number and in quality because the necessities increase and every day greater specific qualifications are demanded. I would suggest that if the friars - who deeply love and respect - would seriously ask the question, "What would Francis do in this situation? ", there vocations will dramatically increase. Not what would Francis as I have imagined him to be - the tree-hugging hippie who randomly speaks with birds - but the true Francis, the one who sought the Cross above all else. What would this Francis do today? What would this Francis have me do today? The letter "X" may soon be banned in Saudi Arabia. Why? Because it looks like a cross. More here. Many moons ago several parishioners at our mission parish - Annunciation Parish in Shumway, Illinois - asked me about holding a Bible study at the parish. I was happy to but for one reason or another no dates were ever set. As the moon waxed and waned their repeated requests turned into near demands for Bible study. They finally said to me, "Father, you tell us when you can come and we will be there." I then set up seven Monday evenings for a Bible study on the Gospel of Luke, this being the year of Luke, this evening being the first of the meetings. A sign-up sheet was put out and I expected ten to fifteen takers. We would have a discussion-style study with questions and sharing; it would be an intimate gathering of those who long to know Christ Jesus. As of this moment, there are fifty (50) people signed up, out of a parish of 320 registered parishioners (including young children). I am ecstatic, dumbfounded, excited and nervous. I have no idea what this will look like! Please keep me - and hte participants - in your prayers. I'll keep you posted on the happenings and maybe I'll even post a picture or two. Sandro Magistero has posted the complete preface to Pope Benedict XVI's forthcoming Jesus of Nazareth. If you haven't already pre-ordered a copy you can still have time. The life of Saint Stephen "teaches us that we must never disassociate the social commitment of charity from the courageous proclamation of the faith," Pope Benedict XVI said on 10 January 2007. "Charity and proclamation always go together." Moreover, in the martyr's death "we can understand that the Cross occupies always a central place in the life of the Church and also in our personal lives." As Stephen offered a "Christological rereading" of the Old Testament he certainly new that the Jews would "interpret his words as blasphemous." As Stephen proclaimed the Gospel he saw a vision of Jesus at the right hand of the Father. This "was followed by his martyrdom, which in fact was confromed with the Passion of Jesus himself, as he [gave] his own spirit to the Lord Jesus and [prayed] so that the sin of his killers not be held against them." Following after the Proto-Martyr, "accepting the cross, knowing that it becomes and is a blessing, we learn the joy of the Christian, even in moments of difficulty." Summarizing, the Holy Father noted that "St. Stephen teaches us to learn these lessons, he teaches us to love the cross, as it is the way through which Jesus always makes himself present again among us. Ordinary Time might not be what we often consider it, suggests the Most Rev. George J. Lucas. "If we reflect on the mysteries we have celebrated at Christmas," he says, "we realize that since Jesus our Savior has come to us in history and remains with us in the church, time is not 'ordinary' any more. Each day provides a fresh opportunity to come to know the Lord and to prepare to meet him when he comes again." The challenge for Christians today "is to keep this encounter with the Lord in holy Communion from seeming to be routine or trivial, even though it is so readily available to us on 'ordinary' days." Today I am rather taken aback at how close the topic of my homily this weekend fits in with what my Bishop writes. We do not usually talk about the same topics on the same weekend. I wonder how many parishioners will pick up on it. His Excellency then offers a brief description of the USCCB's recent Happy Are Those Who Are Called to His Supper: On Preparing to Receive Christ Worthily in the Eucharist. Bishop Lucas finds it a "helpful booklet" and I fully agree with him. It seems unlike anything the Conference has written recently. Will Pope Benedict XVI be traveling to the Holy Land after his upcoming visit to Brazil? It certainly seems likely, given the Holy Father's stated hopes. You are well aware, dear brothers and sisters, of my ardent desire that Providence will allow me to make a pilgrimage to the Land made holy by the events of Salvation History. I hope to be able to pray in Jerusalem, “the cherished homeland of all the spiritual descendants of Abraham, who hold it so dearly” (cf. John Paul II, Redemptionis Anno, AAS LXXVI, 1984, 625). You read it here first (at least I haven't noticed any other bloggers picking up on it). The poinsettias are gone; the trees and wreaths have been removed; even the Nativity scene is absent. After our fifteen-day celebration of Christmas, we find ourselves in this church that now seems somehow very empty. Sometimes it seems empty that way within us, too. We look around at the emptiness and we ask: “Where do I go from here? What do I do now?” What do we do now that the Christmas season has ended? With these thoughts swirling within us, we return to this season of “Ordinary Time.” It is a graced time, really. The celebrations that so often required so much of our attention now give way to a quieter, more reflective time. Ordinary Time is a time in which we are to unfold within our hearts and lives the great mysteries of Christ Jesus. The season of Ordinary Time is centered not on a particular event or moment of salvation history, but on Sunday itself. With the recent festivities now ended, we focus now upon the Eucharist, we focus upon that which makes this day so important as we hear the words of Mary: “Do whatever he tells you” (John 2:5). “Do this in memory of me,” he says, and so have we done these past two thousand years (Luke 22:19). No more shall people call you ‘Forsaken,’ or your land ‘Desolate,’ but you shall be called ‘My Delight,’ and your land ‘Espoused.’ For the LORD delights in you and makes your land his spouse. As a young man marries a virgin, your Builder shall marry you; and as a bridegroom rejoices in his bride so shall your God rejoice in you (Isaiah 62:). The Church, the Body and Bride of Christ, assembles on Sunday – the Lord’s Day – to partake in the magnificent “wedding feast of the Lamb” (Revelation 19:9). We are able to come together for the Holy Sacrifice of the Mass rather easily. We certainly have our distractions: television, the Internet, sports, homework, family struggles, difficulties at work, troublesome weather, even a homecoming dance. All of these things – some good and some bad – vie for our attention and loyalty. The challenge of the Christian is to remain focused on and loyal to Christ Jesus above all else, to “worship the LORD in holy attire” (Psalm 96:9). The Christians of the first few centuries knew well the tremendous difficulties of following Christ. They endured persecution and faced death, all because they listened to the words of the Psalmist: “Tremble before [the LORD], all the earth; say among the nations: the LORD is king” (Psalm 96:9-10). These Christians faced much greater difficulties than we do, and perhaps because of them their faith shone out all the more. In the year 304 forty-nine Christians of the village of Abitene were arrested during the celebration of the Mass and brought before the Proconsul Anulinus in Carthage to face charges of disobeying imperial decrees. 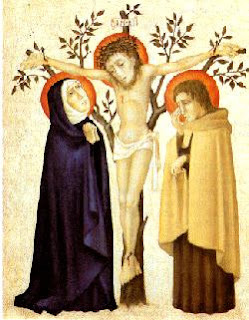 One of their number, Emeritus by name, responded to the charges simply: Sine dominico non possumus, “We cannot live without Sunday.” These Christians were then tortured in a most barbarous fashion and then executed, all because they refused to give up the Eucharist, all because they insisted on keeping holy the Lord’s Day (cf. Exodus 20:8). I wonder what our response would be if someone prevented us from partaking in the Holy Mass, of receiving the precious Body and Blood of the Lord on Sunday. Would we miss it? Would we care at all? The answer lies in our love of the Lord. In taking flesh, the Son of God could become Bread and thus be the nourishment of his people, of us, journeying on in this world towards the promised land of Heaven. We need this Bread to face the fatigue and weariness of the journey. Sunday, the Lord’s Day, is a favorable opportunity to draw strength from him, the Lord of life. The Sunday precept is not, therefore, an externally imposed duty, a burden on our shoulders. On the contrary, taking part in the Celebration, being nourished by the Eucharistic Bread and experiencing the communion of their brothers and sisters in Christ is a need for Christians, it is a joy; Christians can thus replenish the energy they need to continue on the journey we must make every week. If the Sunday Mass is to be a joy we must prepare ourselves for it. We would do well to read the Scripture readings at home before we come so as not to hear them for the first time. We ought to arrive with enough time to spend quietly talking with the Lord, offering him the needs of the week and our love. We ought to dress fittingly, conscious that this is the wedding feast of the Lord (cf. Matthew 22:1-14). The Holy Father has called us to “rediscover the joy of Christian Sundays. We must proudly rediscover the privilege of sharing in the Eucharist, which is the sacrament of the renewed world.” Let this be our goal from now until the beginning of Lent: let us rediscover the beauty of Sunday devoted entirely to the Lord, a day without work, shopping or chores, a day given to the Lord, spiritual reading, family and friends. “May the Day of the Lord that could well be called “the lord of days” regain all its importance and be perceived and lived to the full in the celebration of the Eucharist.” May we, too, cry out: We cannot live without Sunday! Amen! Pope Benedict XVI, Homily at the 24th Italian National Eucharistic Congress, Bari, Italy, 29 May 2005. Pope Benedict XVI, Letter to Cardinal Arinze, 27 November 2006. 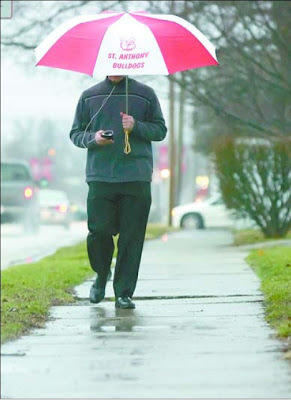 If you visit the web site of the Effingham Daily News today you will be able to see the picture of my walking in the rain with my red and white umbrella (scroll to the bottom and click on the front page image). It even managed to make the front page. I'll keep checking to see if they put the photo itself on the web site. Let this post serve as a warning to the wise or to the foolish who wish to become wise. This afternoon I took a short walk to the local optometrist's office about five blocks from the parish. I donned my iPod (it's a great joy to listen to Bach's "Tocatta and Fugue in D Minor" while walking down the sidewalks) and - because it was raining) I picked up my red and white St. Anthony high school umbrella. On the way back to the parish I noticed, several blocks ahead of me, a man crossing the street to the sidewalk on which I was walking with a large camera and I recognized him as the photographer from the local paper. "Oh, no," I thought. I've never enjoyed having my picture taken and the possibility of it being in the paper makes the idea even less appealing. To make matters worse, whenever attention is drawn to me when I don't want it I always get this dorky grin. Try as I might I cannot make the grin go away. Not knowing what else to do I pulled my iPod out of my pocket to look like I was browsing through the songs as I walked along. You never know when a simple walk will land you in the newspaper. It did, though, provide a nice conversation afterwards with the photographer. We see each other frequently at local basketball games and I talk with him at them. Last year he took a picture of me blessing pets on the Feast of St. Francis of Assisi which apparently won an Illinois AP photo award (I should ask for a copy of the picture). My advice: don't go for a walk in the rain with a red and white umbrella. If a picture does end up in the paper I'll try to link to it. The religious freedom provisions of our Constitution -- the Establishment Clause and the Free Exercise Clause -- open the first of the ten amendments that make up the Bill of Rights. Because the Framers placed the guarantee of religious freedom before other cherished rights, religious liberty in America is often called the first freedom. The right to have religious beliefs and to freely practice such beliefs are among the most fundamental freedoms we possess. James Madison once said that "the Religion then of every man must be left to the conviction and conscience of every man; and it is the right of every man to exercise it as these may dictate. This right is in its nature an unalienable right." Religious faith has inspired many of our fellow citizens to help build a better Nation. In America today, people of faith continue to wage a determined campaign to meet needs and fight suffering. Through the efforts of the White House Office of Faith-Based and Community Initiatives, my Administration has been working to ensure that faith-inspired organizations do not face discrimination simply because of their religious orientation. I recently signed an Executive Order to ensure equal treatment for faith-based charities that are offering hope to those in need. As we celebrate the freedom of faith in America, we also recognize that there are many people around the world who do not enjoy such freedoms. The right to believe and express one's beliefs in words and practice is a right that should belong to all people. Through the Department of State's Office of International Religious Freedom, my Administration has been working to call attention to religious persecution and to encourage our allies, friends, and trading partners to provide and protect this fundamental human right for all people around the world. By working together to secure religious freedom around the world, we can create a better future for people of all faiths. NOW, THEREFORE, I, GEORGE W. BUSH, President of the United States of America, by virtue of the authority vested in me by the Constitution and laws of the United States, do hereby proclaim January 16, 2003, as Religious Freedom Day. I encourage all Americans to reflect on the great blessing of religious freedom and to endeavor to preserve this freedom for future generations, and to commemorate this day through appropriate events and activities in homes, schools, and places of worship. IN WITNESS WHEREOF, I have hereunto set my hand this fifteenth day of January, in the year of our Lord two thousand three, and of the Independence of the United States of America the two hundred and twenty-seventh. Yesterday morning one of my students told me that she was unaware that Saddam Hussein had been executed but she was aware that Mark McGuire was not admitted to the hall of fame. A sad day, indeed, for I know she is not the only one in the same boat, as it were. The Holy Father has again mentioned the Abitene martyrs. 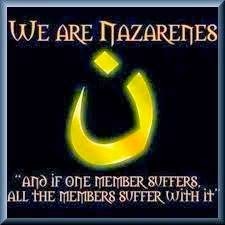 Does anybody happen to know where I can find an account of these martyrs? Many thanks! The Holy See will never tire of reiterating that armed solutions achieve nothing, as we saw in Lebanon last summer. In the light of the elections that took place last year in several countries, it should be emphasized that democracy is called to take into account the aspirations of the citizens as a whole, and to promote increasing respect for all the components of society, according to the principles of solidarity, subsidiarity and justice. Yet the practice of democracy must be allowed to turn into the dictatorship of relativism, by proposing anthropological models incompatible with the nature and dignity of the human person. On 8 January 2007 His Holiness presented what could be called his "State of the World Address" to the diplomatic corps accredited to the Holy See. In what was one of his lengthier addresses, Pope Benedict XVI covered a great many topics important to the worldwide community, including hunger and famine, faith, violence, economics, refugees and migrants, to name a few. What follows are exceprts from his address. The address in full can be read here, which I do recommend. The worsening scandal of hunger is unacceptable in a world which has the resources, the knowledge, and the means available to bring it to an end. It impels us to change our way of life, it reminds us of the urgent need to eliminate the structural causes of global economic dysfunction and to correct models of growth that seem incapable of guaranteeing respect for the environment and for integral human development, both now and in the future. It is an illusion to think that migration can be blocked or checked simply by force. Migration and the problems which it gives rise must be addressed humanely, with justice and compassion. How can we not be alarmed, moreoever, by the continuous attacks on life, from conception to natural death?...Other forms of attack on life are sometimes committed in the name of scientific research. There is a growing conviction that reseach is subject only to the laws that it chooses for itself and that it is limited only by its own possibilities. Equally, there are mounting threats to the natural composition of the family based on the marriage of a man and a woman, and attempts to relativize it by giving it the same status as other radically different forms of union. All this offends and helps to destabilize the family by concealing its specific nature and its unique social role. I should like to mention first of all the growing awareness of the importance of dialogue between cultures and religions. This is a vital necessity, particularly in view of the challenges we all face regarding the family and society. It is also timely to note the growing awareness shown by the international community of the enormous challenges of our time, and the efforts made to transform this awareness into concrete action. Another important element in the collective struggle to eliminate poverty, in addition to aid - which one can only hope will expand - is a greater awareness of the need to combat corruption and to promote good governance. Likewise, one cannot ignore the undeniable Christian heritage of the continent, which has greatly contributed to the formation of European nations and European peoples. The situations I have mentioned constitute a challenge that touches us all – a challenge to promote and consolidate all the positive elements in the world, and to overcome, with good will, wisdom and tenacity, all that causes injury, degradation and death. It is by respecting the human person that peace can be promoted, and it is by building peace that the foundations of an authentic integral humanism are laid. This is where I find the answer to the concern for the future voiced by so many of our contemporaries. Yes, the future can be serene if we work together for humanity. Man, created in the image of God, has an incomparable dignity; man, who is so worthy of love in the eyes of his Creator that God did not hesitate to give his own Son for him. That is the great mystery of Christmas, which we have just celebrated, and which continues to spread its joyful atmosphere over our meeting today. In her commitment to serve humanity and to build peace, the Church stands alongside all people of good will and she offers impartial cooperation. Together, each in his place and with his respective gifts, let us work to build an integral humanism which alone can guarantee a world of peace, justice and solidarity. In expressing this hope, I also pray to the Lord for all of you, for your families, for your staff, and for the peoples that you represent. Special thanks to the Shrine of the Holy Whapping for this hilarious link: Store Wars. “They departed for their country by another way” (Matthew 2:12). Why? I tell you, they returned home by another way not simply because of the warning of the angel, but because they could no longer return by the same way they had come. In their encounter with Christ Jesus, everything changed in the moment of adoration, and nothing would ever be the same again. The Magi said to King Herod: “Where is the newborn king of the Jews? We saw his star at its rising and have come to do him homage” (Matthew 2:11). To see the star at the moment it ascended the heavens the Magi must have been watching for it and waiting for it intently. Why spend so much time and energy looking for some sign in the heavens? They were restless, weary, uncertain, and ill at ease. Perhaps without realizing it the Magi knew that what Saint Augustine said is true: “You have made us for yourself, O Lord, and our hearts are restless until they rest in you.” In this way they awaited the advent of God himself. We today are not the same as the Magi, and yet we are not too different from them, either. It is true that we are no longer looking for a king, but we are concerned for the state of the world and we are asking: “Where do I find standards to live by, what are the criteria that govern responsible cooperation in building the present and the future of our world? On whom can I rely? To whom shall I entrust myself? Where is the One who can offer me the response capable of satisfying my heart’s deepest desires”? These are the very questions the Magi asked as they saw the rising of the star. Are they not the same questions we ask? The Magi abandoned everything they owned and left their homes to be guided by the light of the star, all in the hopes of finding the fulfillment and the answer to all of the deepest longings and desires of their hearts. 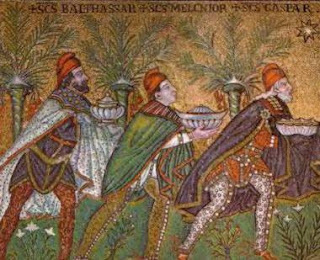 Arriving at Bethlehem, then, the Magi found him whom they sought and they did what Herod simply refused to do: “they prostrated themselves and did him homage” (Matthew 2:11). Why fall down before this Child? What power has he? He has the power of love. Christ Jesus conquers not with military or political might, but with the tremendous power of love, a love that knows no bounds, a love that is stronger than even death itself. Standing before the one who is Love itself, who abandoned the glory of heaven to be born in a filthy stable, the Magi could stand no longer; they had to bow down before him, they had to give him more than their gifts of gold, frankincense and myrrh. Now they have to learn to give themselves – no lesser gift would be sufficient for this King. Now they have to learn that their lives must be conformed to this divine way of exercising power, to God’s own way of being. They must become men of truth, of justice, of goodness, of forgiveness, of mercy. They will no longer ask: How can this serve me? Instead, they will ask: How can I serve God’s presence in the world? They must learn to lose their life and in this way to find it. Having left Jerusalem behind, they must not deviate from the path marked out by the true King, as they follow Jesus. And so, “they departed for their country by another way” because everything was now different, and for the better. I ask you then: how has your encounter with Christ Jesus this Christmas changed you? For some I should ask: have you encountered Christ Jesus this Christmas? We have today a great choice to make: we can either, like the Magi, humble ourselves before the One who humbled himself for us; or, like Herod, we can refuse to be conquered by the power of Love. Herod feared to lose his kingdom to this Baby; what do you fear to lose? The Magi hoped to receive happiness, joy, peace, forgiveness, mercy, and love; what do you hope to gain? Which will you choose: the way of Herod or the way of the Magi? No one encounter Christ Jesus and remain the same as before. Everything must yield to him. I urge you strongly: Do not be afraid of Christ! Yield to the power of his love and give your life to him. He takes nothing away and he gives you everything! Follow the light of the faith of the Magi – just as they followed the light of the Star – and you will find the only source of happiness for humanity: Jesus Christ, the Son of God and the Son of Mary. Amen. Pope Benedict XVI, Celebration Welcoming the Young People, Cologne, 18 August 2005. Pope Benedict XVI, Welcome Ceremony, Cologne Airport, 18 August 2005. Pope Benedict XVI, Celebration Welcoming the Young People. Pope Benedict XVI, Meeting with Seminarians, Cologne, 19 August 2005. Pope Benedict XVI, Youth Vigil, Cologne, 20 August 2005.